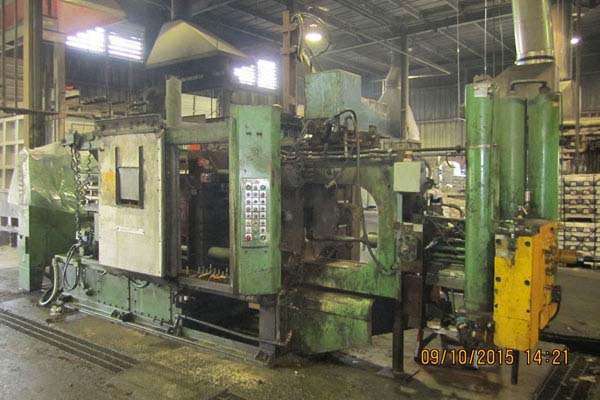 Used HPM 400 Ton Horizontal Cold Chamber Aluminum High Pressure Die Casting Machine. Inventory item: DCM-3758. New spare parts include: 1 Tie bar, 4 Bronze Die Height Nuts, 4 Steel front Nuts (2 split), 4 Moving Platen Bushings, Die close cylinder rod, Ejector cylinder rod. These parts were purchased with the machine in 1994 but never used.